What's the best kind of dinner? A spirit-paired dinner! We're partnering with our lovely neighbor, Marjorie Restaurant, and Sidetrack Distillery to bring you a 5-course dinner on Thursday March 28, 2019 at 6pm. $85 per person (gratuity not included). Please RSVP using Marjorie’s OpenTable (for 6pm, March 28) and comment "OOLA/Sidetrack dinner"
or call Marjorie Restaurant directly at (206) 441-9842⁣ or email info@marjorierestaurant.com. We are excited to be participating in @SeattleCocktailWeek’s #CocktailDistrict event on March 9. Come say hello to us at the event - your ticket gives you: 12 tasting tokens, access to spirit focused seminars, cocktail-focused events, food trucks and fun. Participating brands (like yours truly!) will be bringing their best demos, competitions, and cocktail knowledge that they’ll share with you. Try the good stuff and then buy some for home. Our retail store will offer every product you’ve tried at a discount and funds from the retail sales will support local charity, The World is Fun. Pair the cocktail perfection with delicious food from a variety of Seattle’s best food trucks. Food from Where Ya At Matt, Don Lucho's, Off the Rez, CRAVE, Tabassum,The Grilled Cheese Experience, and Alexandra's Macarons! Cocktail District will be held Saturday, March 9th, 2019 at Bell Harbor Conference Center. Join OOLA Distillery founder and head distiller, Kirby Kallas-Lewis, for an evening of classic cocktails at Pioneer Square's Good Bar on First Thursday (art walk! ), March 7 from 7-10pm. This event is part of Seattle Cocktail Week. Curious about the business behind opening a craft distillery? Join OOLA founder and head distiller, Kirby Kallas-Lewis, for an hour long discussion focused on what it takes to start a distillery. From how to get your foot in the door to making the difficult decisions when starting up we'll go over all the knowledge you didn't know you needed. Bring your questions! This event is part of Seattle Cocktail Week, March 3-10, 2019. ALL WEEK: Meet the Moon is featuring cocktails all week with our Citrus Vodka (Stella’s Groove) and our Waitsburg Bourbon Whiskey (Blackberry Smash)! Connect with fellow distilled spirits enthusiasts and sample more than 100 local craft spirits and international favorites, from corn to agave. Sample spirits from more than 25 distillers and brand reps. Explore the curated bar, made-up of selections from the Seattle Spirits Society archives. Refine your craft cocktail skills with tips (and drinks) from expert mixologists. Cleanse your palate with a helping of appetizers and unlimited tacos from Marination, voted "Best Food Truck in America", by Good Morning America. Enjoy a fresh stogie on the rooftop deck. Join us and support the local industry – a portion of event proceeds will benefit the Washington Distillers Guild, a 501(c)6 non-profit representing the success of distilleries in the state. 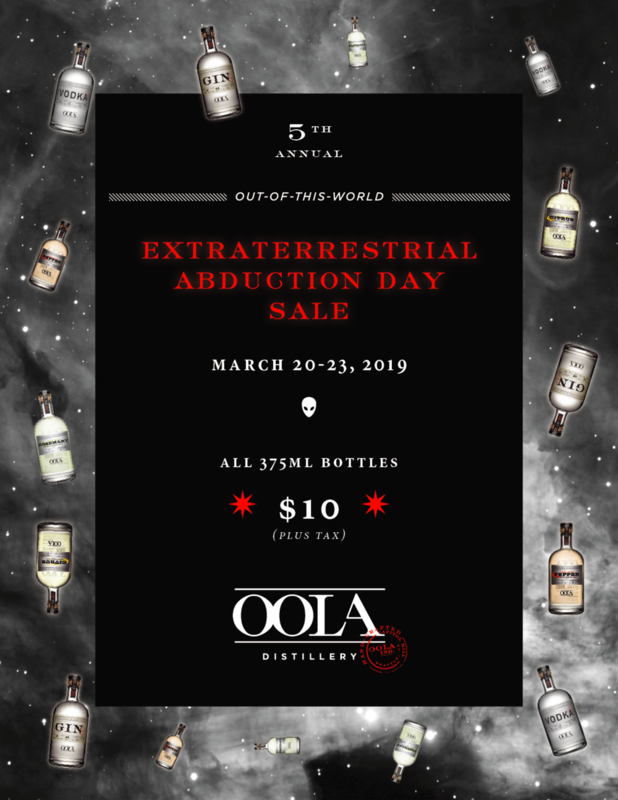 Come in from the cold and warm up from the inside while we get schooled in whiskey by the master makers at OOLA Distillery. Under the guidance of OOLA founder Kirby Kallas-Lewis and the OOLA team, we'll get one step closer to bartending mastery. Field trippers will take a behind the scenes tour of OOLA's still and works to learn about whiskey distilling techniques. Our tour will be followed by a hands-on craft cocktail class using OOLA's outstanding spirits to make delicious and memorable drinks for the holiday season. By evening's end, you'll be armed with cocktail savvy and recipes for all of your holiday entertaining (we’ll even throw in some toasts!). Bonus: Get your shopping done early and give the gift of hand-crafted whiskey— complimentary bottle engraving for field trippers that night! Must be 21 with valid I.D. to participate. 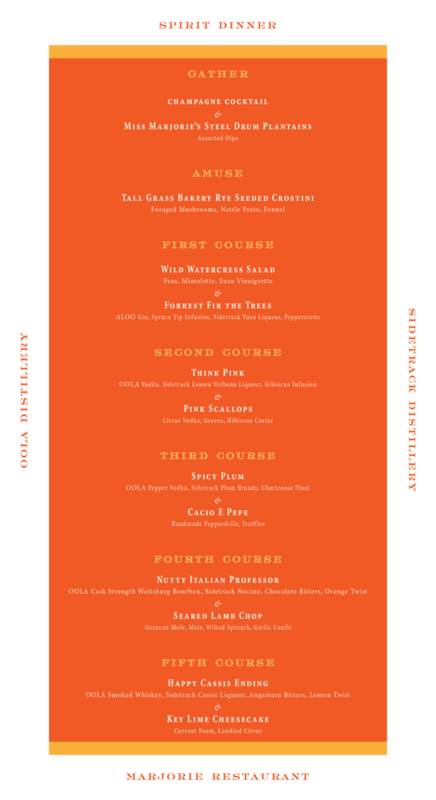 Join OOLA at Cask & Trotter on Thursday, October 18 from 5-7pm. 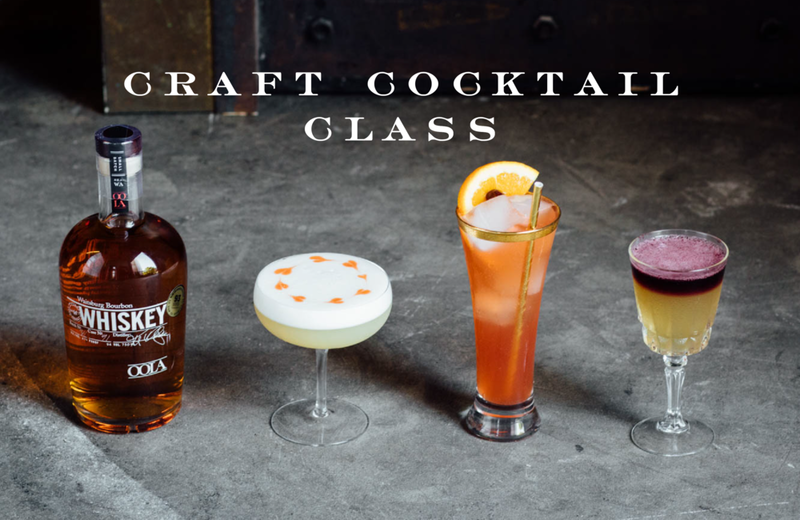 Join us at the distillery on Friday, February 10 for an evening of craft cocktail education with The Field Trip Society! The evening will start off with a tour by OOLA founder, Kirby Kallas-Lewis, followed by a hands-on craft cocktail class. Time: Friday, February 10th 6:00 - 7:30 p.m.
Join OOLA Distillery and indi chocolate for a pop-up Boozy Hot Chocolate Bar on Sunday, January 7, 2018 from 2-4pm.